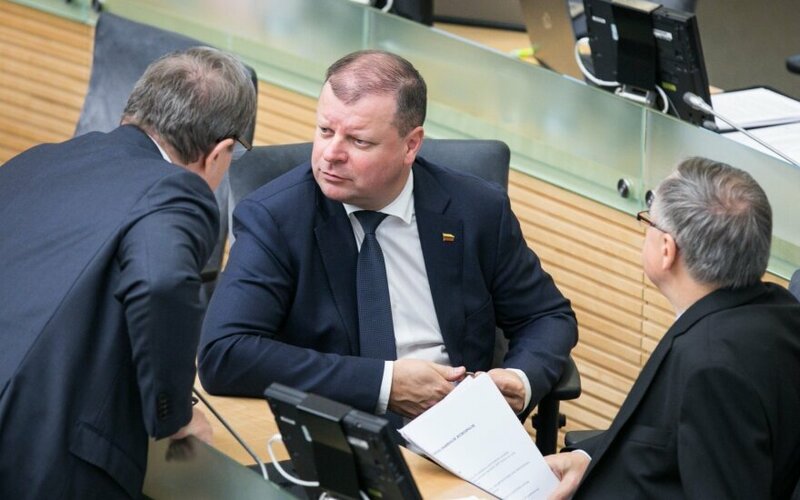 “If the budget is not approved, next year there may be no elections,” Lithuanian Prime Minister Saulius Skvernelis stated on Thursday. According to him, this would happen because the Central Electoral Commission would simply not have the funding for the elections. However, political scientists tell Delfi that elections will happen in all cases but one. However, they note no one would want it. "In essence, (failing to approve the budget) will lead to a chain reaction because tax reform is linked to pension reform, thus we will be unable to index pensions, that is to say raise pensions, only able to pay base pensions (...) We will live with only a twelfth of the state budget. And this means that the Central Electoral Commission will receive a twelfth of its assignations and elections will not be held in the country because there will simply not be enough financing," S. Skvernelis stated. Vytautas Magnus University (VDU) political scientist Lauras Bielinis tells Delfi that elections would be held next year even if the budget was not approved and that despite what the PM cautions about, the funding for state functioning would be available, albeit various development plans would grind to a halt. When asked if intentional ruining of the budget and cancelling the elections, blaming the opposition for it all, could win the ruling coalition the people's support, L. Bielinis stated the opposite would happen. "If the majority, for example, did so or publically began acting against the organisation of elections, I believe it wouldn't be just any scandal. Paris would appear very soft in comparison (Mass protests are currently ongoing in the capital of France). This way, it would be a serious blow to the state structure and overall functioning of the state that they would be showing the public. I am certain that even among them there will be people, who will not back such an act in Seimas, if it is initiated," L. Bielinis stated. Political scientist Kęstutis Girnius tells Delfi that he believes S. Skvernelis had a momentary lapse of judgement when making the statement. The political scientist views the prime minister's words about the Conservatives cooperating with Russia similarly. "It is a sort of moment of panic, a nonsensical statement. 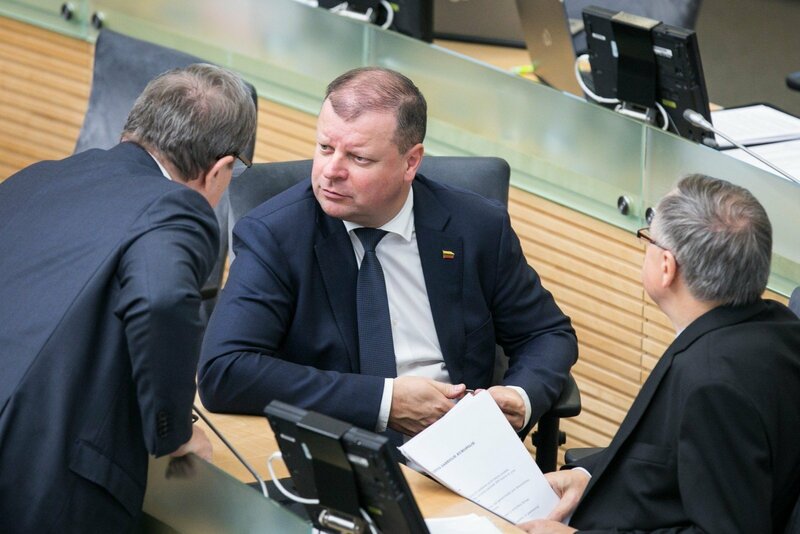 Skvernelis, among other things, also said that the Conservatives are agents of Russia and the VSD should investigate whether they work for Russian agencies. It is a bad day for Skvernelis, he made many nonsensical statements," K. Girnius believes. According to him, the worst-case scenario, if the budget is not approved, would be forming a temporary budget and financing elections that way because they must be held. The expert concurs with L. Bielinis in that intentionally not approving the budget would backfire against the "Farmers" because this would leave the impression that upon losing the fight for the budget, they chose to sabotage the entirety of the government. Meanwhile, Mykolas Romeris University (MRU) professor Vytautas Sinkevičius says that such talks by the prime minister are irresponsible and display a lack of understanding of the Constitution because based on the Constitution, elections have to be held no matter what and such attempts to, as the expert points out, intimidate the public are completely baseless. "It was the nation itself that specified that the president is elected every five years and it matters not, what the situation is with the budget, elections must be held. Thus, this statement has nothing to do with the Constitution," V. Sinkevičius states. The MRU professor finds that the prime minister is taking a significant risk by making such claims and that the only possible scenario for not holding elections is specified in the Constitution's article 143, which allows to extend authorisation during wartime. Thus, the expert believes that this is either a lack of understanding or respect toward the Constitution or simply a public relations act. Ministry of Finance representatives have explained to Delfi that the Seimas statute specifies that if the Seimas rejects the state budget project, an amended version is put up for deliberation once again between 5 and 10 days later, featuring adjustments based on MPs' and Seimas committees' remarks. If the state budget is not approved in time, from the start of the budgetary year, monthly expenses cannot exceed a twelfth of last year's budget. Meanwhile, the budget formation law specifies that the Seimas approves the state budget and municipality budget financial metrics by law no later than 14 calendar days prior to the start of the budgetary year. It also specifies that if the budget is not approved in time, monthly assignations cannot exceed a twelfth of last year's budget assignations. S. Jakeliūnas’ statement surprises bank association head: are you trying to cause panic in the markets? Romas Lazutka. Who is it that rules us and does Tapinas impact them?